At Premier Reverse Closings (PRC), we are proud to be the first national title and settlement company to specialize in reverse mortgages. Our dedicated team of professionals offers the experience and knowledge to smoothly close reverse transactions—correctly. Having closed more than 187,000 reverse mortgage loans, PRC understands the importance of comprehending all HUD and lender guidelines. 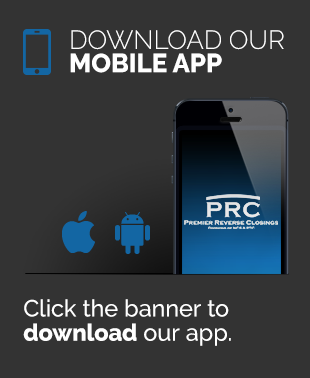 As your dedicated business partner, PRC can assist you by offering a wide range of services including online order entry and tracking system, online property information, property valuation, nationwide fee calculator, title updates, informational flyers, educational classes and many other tools. We are committed to our clients and senior borrowers, making us a proven industry leader. PRC is a long-time member of the National Reverse Mortgage Lenders Association (NRMLA) and is proud to stand behind their code of ethics.